Tamarac Appraisers is a Florida Real Estate Appraisal company dedicated to providing lenders and individuals with rapid, high-quality residential appraisal services in the South Florida area including West Palm Beach, Fort Lauderdale, Boca Raton, Tamarac, Broward County and Palm Beach County. If you need a Tamarac Appraiser we are the one to call! At Tamarac Appraisers we stand by our appraisal reports and pride ourselves on accuracy and timeliness. 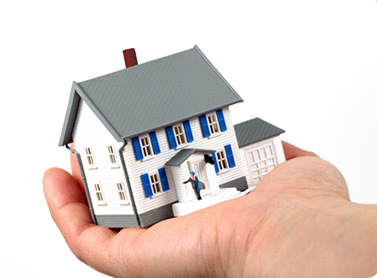 Our Tamarac appraisers follow industry standard Fannie Mae and Freddie Mac guidelines. Our Tamarac appraisers are highly qualified and state certified. We do not staff trainees or apprentices. We provide quality reports while still maintaining a rapid turnaround time. All our appraisers are state certified, meet continuing education requirements and have extensive experience analyzing property in Tamarac and the surrounding area. If you need a Tamarac Appraiser call us today! Tamarac is located in Broward County Florida. 2006 US census population estimates was 60,644. Median household income for Tamarac was $34,290, and the median income for a family was $41,927. Males had a median income of $32,317 versus $28,360 for females. Per capital income was $22,243. Tamarac was Incorporated in 1963.. Although still predominantly a retirement community, Tamarac is attracting an increasing number of young families and commuters who live here and work in other neighboring cities. Tamarac boasts a number of parks which provide a variety of amenities and recreational opportunities for residents and visitors alike. Veteran’s Park has a veteran’s memorial. Sunset Point Park features a walking trail, playground, and a small amphitheater. Caporella Park offers picnic tables, grills, playground, and a lake with a fishing pier. The Tamarac Sports Complex includes a hockey rink, tennis and basketball courts, fields for baseball, softball, football, and soccer, as well as a gazebo, covered playground, and picnic tables. The Tamarac Theatre of Performing Arts is one of South Florida's finest venues for live stage entertainment. In existence for over 25 years, the theater features a regular schedule of stage plays and musicals, as well as a Children's Theater program that teaches all the performing arts, covering dancing, singing, acting, and stagecraft. Tamarac's central location provides easy access to numerous attractions in nearby cities and towns.